If you read the Orangetown Jewish Center emails, you have seen that we have experienced an inordinate amount of loss in our community in these weeks leading up to Pesach. Answering the needs of every loss in a community includes support for the immediate family, answering the questions of loving friends and acquaintances, advising regarding traditional practices and personal decisions, preparing for a funeral, coordinating shiva houses and minyanim, being present for the mourners in the days and weeks and months following the death. “This must be the hardest part of your job,” say loving, concerned congregants. They ask Rabbi Scheff and me how we cope. There are two answers to the question. The first answer is that responding to the needs of a family at the time of loss is one of the holiest things that rabbis do. Families open the doors to their hearts and share their stories with us. They depend on us to answer some of the most important questions that humans can ask. And when we can be helpful, it is indeed sad but also uplifting. The second answer is unique to our community. And the answer is: This community. Without the OJC community, we would not be able to help our families in the loving, respectful way that we do. Sometimes our president or Krista in the office are the first to know of a death. They respond as part of a team and find one of the rabbis immediately. The Ritual Committee delivers chairs and books, finds davenners, alerts Minyan Captains of the alternate sites for minyanim. In these past three weeks, we cannot thank Steve Richter and Jonathan Cohen enough for their responsible and caring attention to every detail. Sisterhood delivers some food for the condolence meal, Chesed finds out if there are any special needs for each family. And then all of you come out to the homes of fellow congregants. Some of you turn plans upside down in order to be there for another. 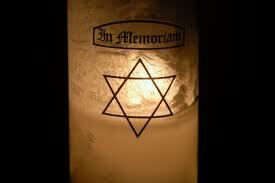 I cannot remember making very many shiva calls without an OJC congregant coming to pay condolences at the same time. Tomorrow night, we will have four shiva homes in addition to the minyan here at the OJC. Some people are understandably hesitant about going to the home of a mourner they do not know. Not every mitzvah is easy. But the hard thing is almost always the right thing to do.You can be a part of the compassionate outreach of our synagogue by attending one of those minyanim. You might just be the tenth. If you would like to know of a shiva house that would benefit from your attendance Sunday evening, please email one of your rabbis at Rabbi.Scheff@theojc.org or Rabbi.Drill@theojc.org.